SAN FRANCISCO— Pacific Gas and Electric Company (PG&E) today activated multiple emergency operations centers to support the emergency response to the Carr Fire burning in Shasta County. PG&E’s first priority is the safety of customers, employees, contractors and the communities it serves. 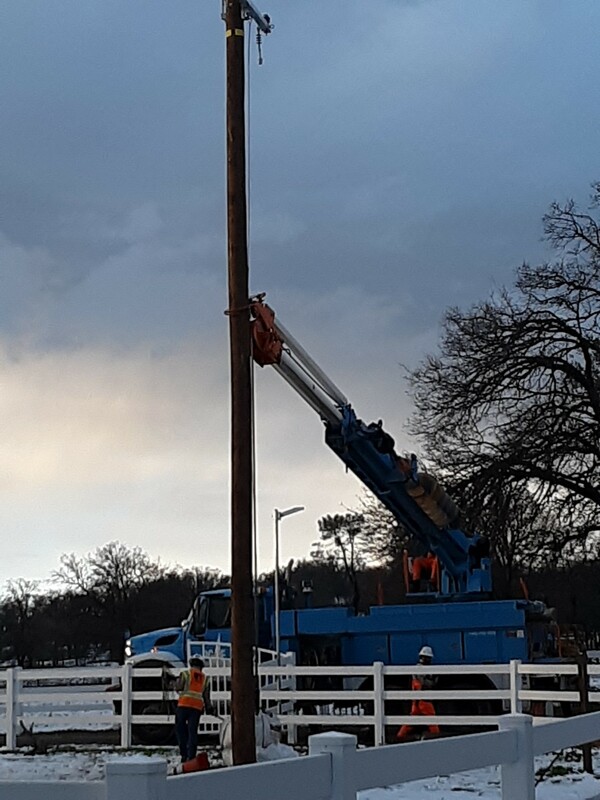 PG&E is supporting first responders and local agencies, monitoring its gas and electric infrastructure, and providing mutual assistance to Redding Electric Utility, which provides electricity to approximately 44,000 customers in the City of Redding. To support response efforts, PG&E has activated its Emergency Operations Center at its San Francisco headquarters, its Gas Emergency Center in San Ramon, as well as a local support center near the wildfire. Additionally, PG&E’s new Wildfire Safety Operations Center is fully staffed and continues to monitor active fires as well as other potential fire threats and weather conditions across PG&E’s service area in real time. At the request of Cal Fire, PG&E has turned off power to some electric customers located outside the City of Redding as an emergency measure to support safety and firefighting efforts. To date, PG&E has turned off gas service for safety to approximately 500 customers, also at the request of Cal Fire. This count of gas customers impacted is expected to grow. PG&E has a plan to deal with these situations and wants customers to be prepared and have plans, too, in the event of an electric or gas outage. Once in safe location, PG&E asks customers to take 5 minutes and update their contact info at www.pge.com/mywildfirealerts so they can be reached if necessary. 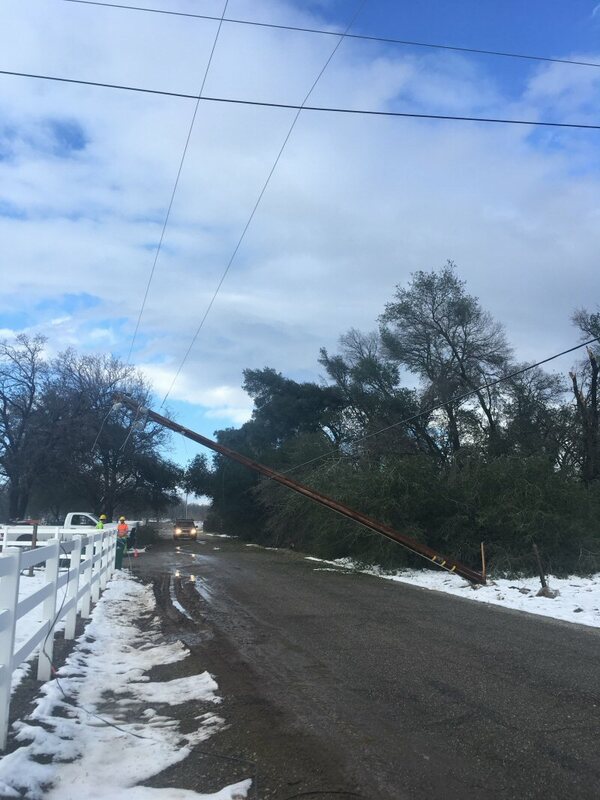 Customers should call 911 or PG&E at 1-800-743-5000 to report a downed power line or if they smell gas. Added more than 50 new weather stations – with a total of around 200 planned in 2018 – to provide improved awareness of fire danger conditions and better predict where a wildfire could occur. Enhanced vegetation management in high fire-threat areas to meet new state vegetation and fire safety standards and create safe space between trees, limbs and power lines. Alerted more than 570,000 homes and businesses served by electric lines in extreme-fire threat areas that PG&E may have to shut off power for public safety if extreme fire danger conditions occur, as a last resort. REDDING, Calif.—As part of its ongoing response to California’s tree mortality crisis, Pacific Gas and Electric Company (PG&E) will conduct aerial patrols in Shasta, Tehama, Lassen and Trinity counties on June 12 and 13 to identify dead trees that could pose a wildfire or other public safety risk. “Five years of drought and bark beetle infestation in California have caused millions of trees to die or become structurally compromised. We’ve made significant progress to help reduce wildfire risk by removing dead and dying trees and we’re not slowing down. We will continue this critical safety work in 2018, Carl Schoenhofer, PG&E’s senior manager of PG&E’s North Valley Division. Every year, PG&E inspects and monitors every overhead electric transmission and distribution line, either on foot or by air, with some locations patrolled multiple times. Since the tree mortality crisis began, the energy company has increased foot and aerial patrols in high fire-risk areas to twice a year and up to four times a year in some locations. In 2018, PG&E expects to patrol over half of its overhead distribution lines at least two times. PG&E is using a contract helicopter service to fly foresters over the area to inspect trees. Patrolling by air allows the company to cover many miles quickly and efficiently, and reduces impacts on the ground. Residents are advised that the helicopter will fly low – at about 200 to 300 feet above the ground – along distribution power lines, and higher in areas where livestock are present. On June 12, flights will occur over the Shasta County communities of Fall River Mills, McArthur, Cassel, Hat Creek and Old Station. Flights will also occur over the Lassen County communities of Nubieber and Bieber. 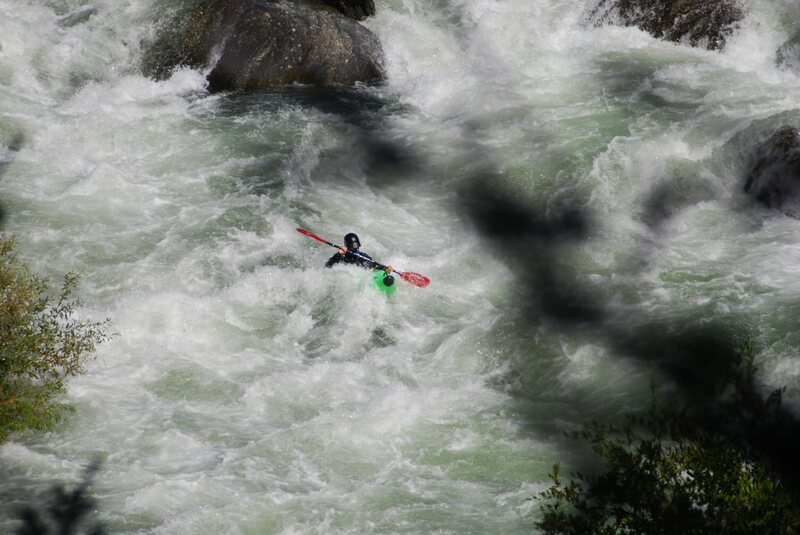 On June 13, flights will occur over the Tehama County communities of Manton, Paynes Creek, Dales, Mineral, Mill Creek, Lyonsville and Platina, as well as Shingletown in Shasta County and Wildwood in Trinity County. Depending on clear weather conditions, flights will occur between 8 a.m. and 5 p.m.